You should know though... all my gambling with my children's future and self image paid off today. There was success and not tears. 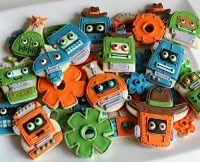 Kind of like these robot cookies. I *may* have put off making them until the absolutely last second because I was maybe a teensy bit afraid that they wouldn't turn out and that I would end up in tears eating the proverbial** candy bar. But here they are. And I love them. Maybe because I didn't think them up on my own. 1. Grab a flower or sun cutter. The more petals or rays the better. 2. Find a circle cutter that cuts off the tips of each petal or sun ray. Cut out the flower first and put it on the baking sheet. Then use the circle cutter to cut off the tips. (Be super gentle if you bake on a silpat.) This prevents warping when you transfer the cookie shape. 3. Bake. Avoid eating until decorated. 4. 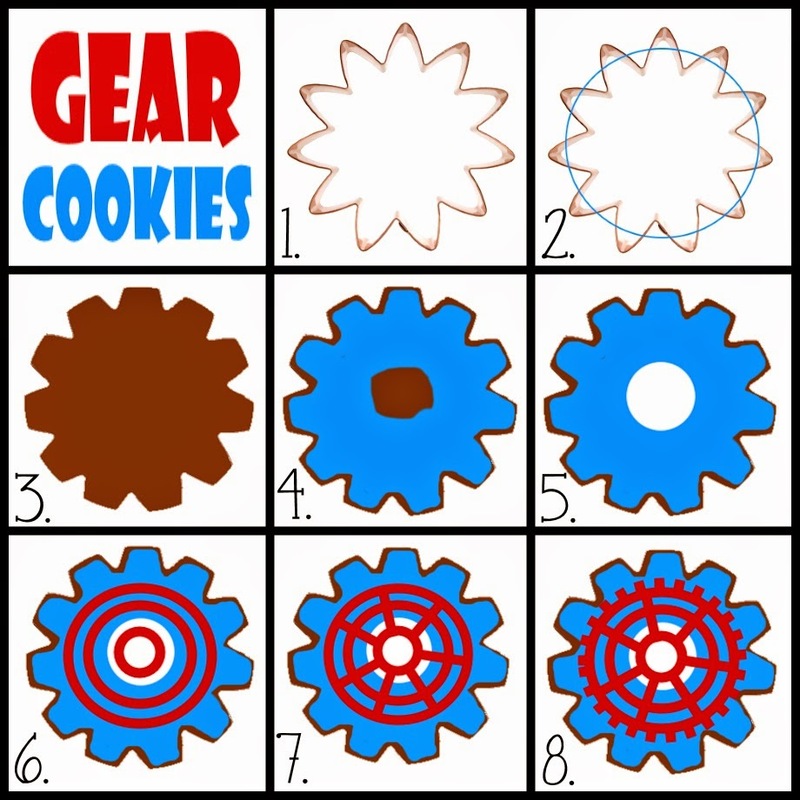 Use a #3 tip and 17 count icing to outline and mostly fill in the gear. Leave a roughly circle shape empty in the middle. 5. Put a #3 tip on the end of a piping bag holding 17 count white icing. Place the tip in the middle of your icing hold and start squeezing. 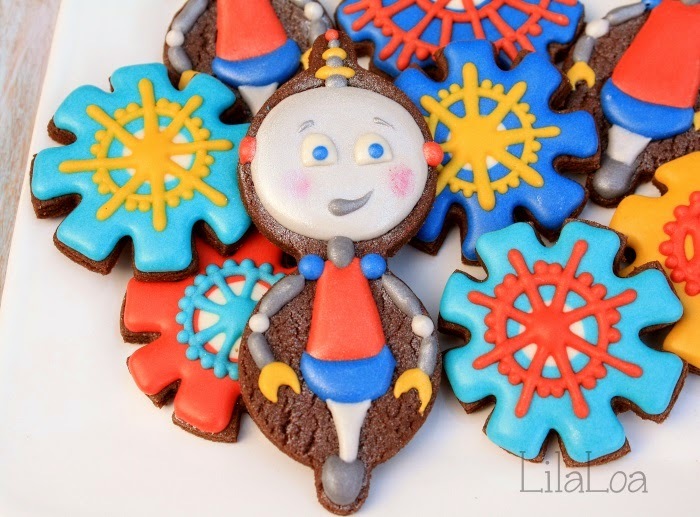 If you hold the tip close to the cookie, the icing will pillow around it in a perfect circle. Let the cookie dry for a few hours. 6. Trace around smaller circle cutters with a food marker. (Or just be amazing and go for it!) Then pipe over the top of the circles with thick red icing. 7. Then connect those circles. 8. You can leave it like that or you can make a bunch of dots all around the edge of the outer circle to create a cog-like appearance. ** Not actually proverbial. It's real. And comes in 3 flavors. And I keep them hidden in my vegetable drawer in the fridge. Feel free to make yourself a "salad" the next time you come over. 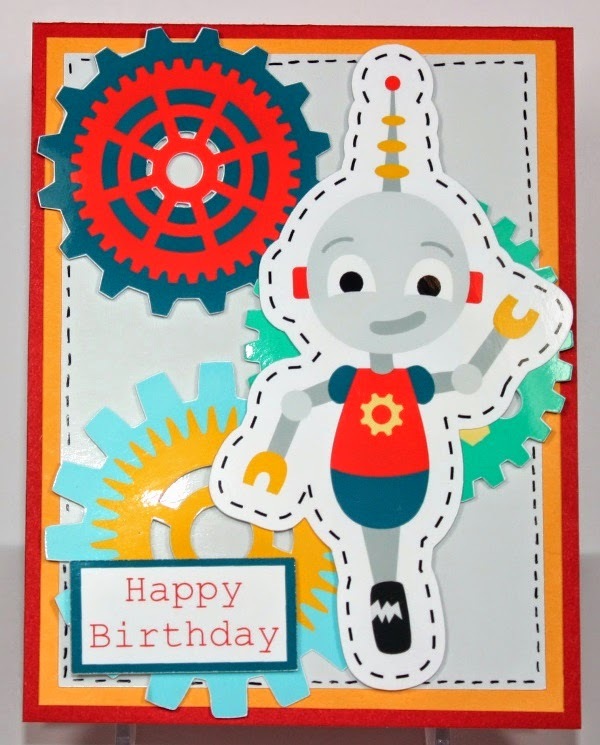 Go visit my cousin's blog to see what cookies she made into a card. This is my absolute favorite set of cutters. 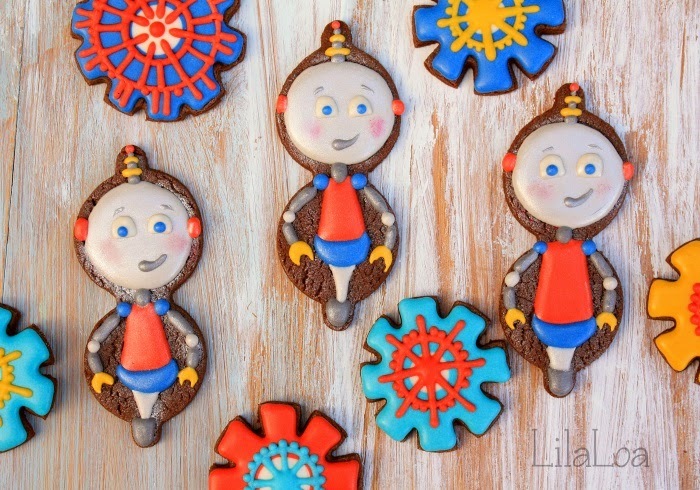 I use them in almost every set of cookies I make. One of these will be perfect for any flower cutter you own. 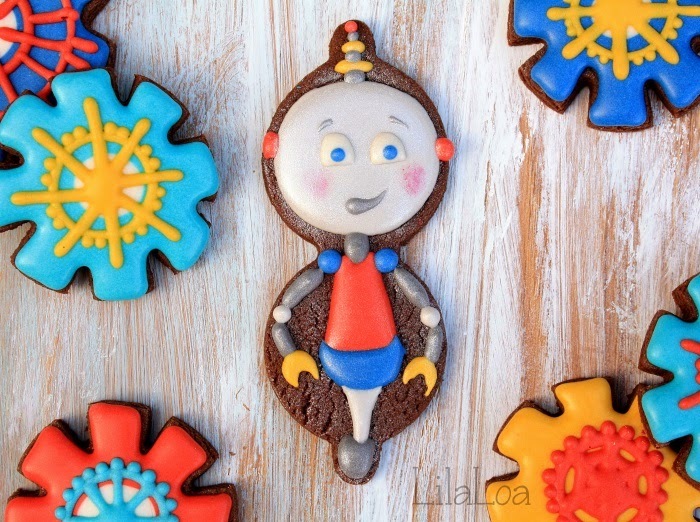 Check out all of Sugarbelle's Creative Robot Cookies HERE.